A majority of patients with psychiatric disorders served by the Department of Veterans Affairs (VA) reported receiving smoking-cessation services, yet their smoking rates remained high. And certain patient subgroups were at risk for receiving fewer smoking-cessation services, according to a report in Psychiatric Services. 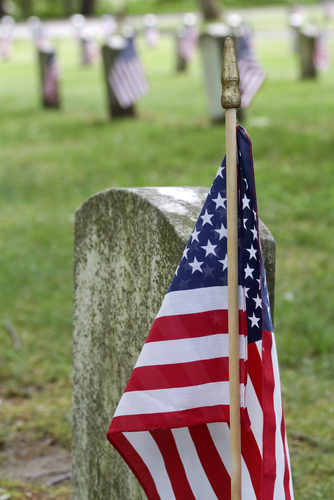 In the study, researchers conducted a secondary analysis of the 2007 Veterans Health Administration Outpatient Survey of Healthcare Experiences of Patients. Between 60 percent and 80 percent of VA patients with mental illness reported receiving some kind of smoking-cessation services through a physician who advised quitting, recommended medication, or discussed methods for quitting. 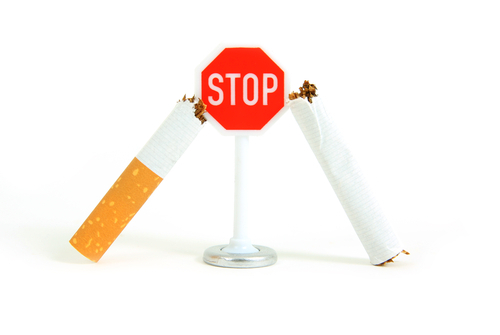 But patients with schizophrenia had more than 30 percent lower odds of receiving advice on quitting smoking, while those diagnosed with posttraumatic stress disorder (PTSD) or a substance use disorder had significantly greater odds of receiving smoking-cessation services. 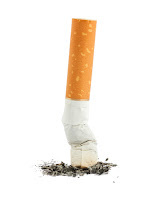 The report, "Risk of Smoking and Receipt of Cessation Services Among Veterans With Mental Disorders,” is posted here. For coverage of the study see the latest issue of Psychiatric News here. 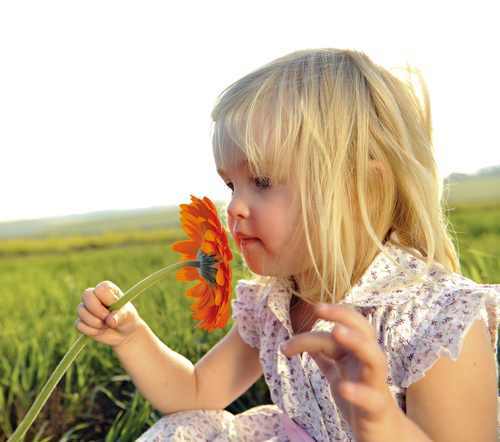 Children with attention-deficit/hyperactivity disorder (ADHD) may not be able to smell as well as their peers, and researchers say that olfactory function might be a useful biological marker for early diagnosis, treatment, and prognosis of ADHD. Researchers at the Research Center for Psychiatry and Behavioral Sciences at the Shiraz University of Medical Sciences in Iran published in the June Psychiatry Investigation the results of their study of 50 participants aged 8 to 15 with ADHD who were compared with 50 controls. The two groups were matched for age, gender, and Mean School Scores (MSS). They assessed odor identification and threshold through a smell test composed of two tests of identification and detection threshold. Odor identification was assessed using chemical essences of five common odorants. The mean Sensory Identification Score for children with ADHD and for the control group was 3.76 and 4.46, respectively. The mean for Sensory Threshold Score for the ADHD subjects and for the control group was 6.4 and 9.75, respectively. The researchers said their results do not seem to be a result of olfactory task difficulty and were not influenced by age, gender, or MSS. Recent research has also identified rare genetic variations in children with ADHD that may help identify children at risk for developing the disorder. Read more about those findings in Psychiatric News, here. The Supreme Court today ruled to uphold the Patient Protection and Affordable Care Act, including the individual mandate, by a vote of 5 to 4. The decision was a victory for President Obama and Congressional Democrats, with conservative Chief Justice John G. Roberts Jr., joining the majority in affirming the central legislative pillar of Mr. Obama’s presidency. The Court ruled that the so-called individual mandate, which requires that nearly all Americans obtain health insurance, fell under Congress’s power to tax. The court’s ruling is a crucial milestone for the law, allowing most of its far-reaching changes to roll forward. More information about the health care reform law can be found in Health Care Reform: A Primer for Psychiatrists, published by APA. The FDA has approved Belviq (lorcaserin hydrochloride) for chronic weight managementas an addition to a reduced-calorie diet and exercise. The drug is approved for use in adults with a body mass index (BMI) of 30 or greater (obese), or adults with a BMI of 27 or greater (overweight) and who have at least one weight-related condition such as high blood pressure (hypertension), type 2 diabetes, or high cholesterol (dyslipidemia). Belviq works by activating the serotonin 2C receptor in the brain. Activation of this receptor may help a person eat less and feel full after eating smaller amounts of food. The safety and efficacy of Belviq were evaluated in three randomized, placebo-controlled trials that included nearly 8,000 obese and overweight patients, with and without type 2 diabetes, treated for 52 to 104 weeks. The drug’s manufacturer will be required to conduct six postmarketing studies, including a long-term cardiovascular outcomes trial to assess the effect of Belviq on the risk for major adverse cardiac events such as heart attack and stroke. The FDA is continuing to evaluate the phentermine/topiramate combination known as Qnexa for approval as a weight loss drug. Read more about it in the Med Check column of Psychiatric News here. Anticipation is building for a Supreme Court decision on the constitutionality of the Patient Protection and Affordable Care Act. 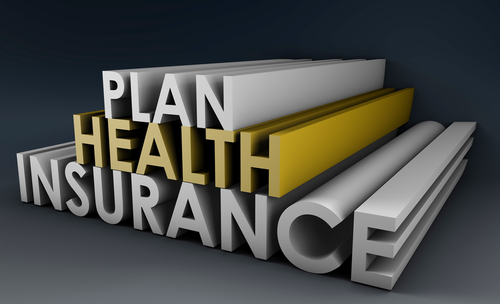 The Court is expected to issue a ruling tomorrow on whether the individual mandate to buy health insurance, contained in the health reform law, is constitutional. If the mandate is struck down, the Court will also issue a ruling on whether the provision is “severable” from the rest of the law—that is, whether the entire reform law is unconstitutional or other provisions of the law can stand though the mandate is struck down. The Wall Street Journal reported yesterday on a poll in which nearly 4 in 10 Americans say that they would have "mixed feelings" if the justices struck down the whole law. Just over 25% said they would be very pleased, while 17% said they would be very disappointed by that outcome. Meanwhile the White House said it remained convinced the legislation would be upheld. "We are, as I have said in the past, confident that the Affordable Care Act is constitutional, in keeping with decades of precedent under the commerce clause," White House spokesman Jay Carney told Reuters yesterday. Look to Psychiatric News for coverage of the decision. For more information see Psychiatric News here. Several federal prisoners with serious mental illness have filed a class-action lawsuit against the Federal Bureau of Prisons charging that counter to regulations, they have been held in one of the country's "supermax" prisons and have not been provided with needed psychiatric care, including psychotropic medications. Four of the prisoners, according to a June 24 Washington Post report, were transferred to the maximum security prison in Florence, Colo., after the District of Columbia's prison in Lorton, Va., was shuttered in 2001. So-called supermax prisons are designed for extreme levels of security to house prisoners considered security threats or who have committed violent crimes while in other prisons. They are usually held in isolation cells and only have an hour or often less for exercise or other activities per day. Edward Aro, one of the lawyers who filed the suit along with the inmates, is quoted as saying that the Bureau of Prisons "turns a blind eye to the needs of the mentally ill at [the Colorado prison] and to the deplorable conditions of confinement that are inhumane to these prisoner." The Bureau of Prisons declined to comment on the suit, but issued a statement saying it does not send mentally ill prisoners to the supermax facility. However, the Post cited, for example, the case of one of the plaintiffs, a convicted murderer, who was diagnosed with schizophrenia and alleges that he has not received medication for the disorder in his 11 years at the Colorado prison. "Instead, he has access to therapy classes on television and anger-management pamphlets." To read about how mental illness is dealt with in the criminal justice system, see Psychiatric News here and here. 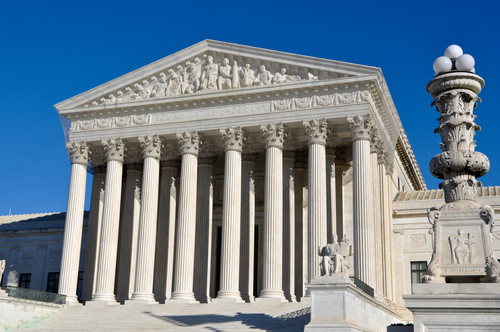 Sentencing juveniles to prison terms of life without the possibility of parole, even for a crime a serious as homicide, amounts to cruel and unusual punishment and thus is unconstitutional, the U.S. Supreme Court ruled yesterday. The 5-4 decision, in which Justice Anthony Kennedy sided with the Court's liberal justices, emphasized the difference between the brains and thus the decision-making capacity of youngsters and those of adults. The decision reflected points made by the American Psychiatric Association and other mental health organizations in an amicus curiae brief submitted to the Court in the two cases at issue, both of which involve murders committed by youth who were age 14 at the time of the crimes. 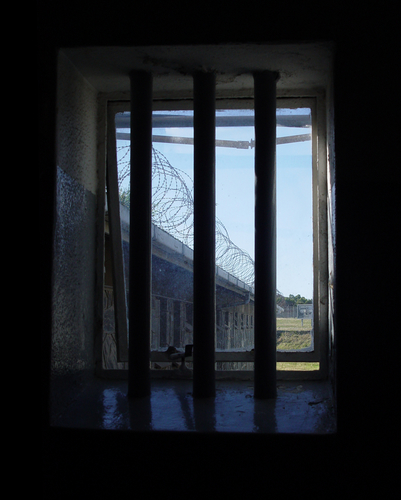 The amicus brief emphasized that adolescents' brains are still developing and that as a result, the immaturity, vulnerability, and changeability characterizing adolescent development should be considered when sentencing juveniles of murder. In previous decisions, the Court had ruled unconstitutional imposition of the death penalty on felons who were under age 18 at the time of the offense and life sentences without possibility of parole for juveniles convicted on crimes other than homicide. Writing for the majority in yesterday's decision, Justice Elena Kagan acknowledged the research on adolescent development, saying that "Our decisions rested not only on common sense...but on science and social science as well." Read more about this case in Psychiatric News here, and APA's position statement on mandatory sentencing of juveniles here. An antagonist of a cellular protein called the Sigma-1 receptor reduced binge eating in rodents, scientists reported June 20 in Neuropsychopharmacology. Moreover, the antagonist was found to reduce the receptor in specific areas of the brain, notably the prefrontal cortex and anterior cingulate. The findings, the scientists believe, offer new insights into the neurobiology of binge eating and may point toward novel ways of pharmacologically treating binge eating. Although cognitive-behavioral therapy and interpersonal therapy, as well as the anticonvulsant medication topiramate, can help people who binge eat, a magic bullet for treating the disorder remains elusive. 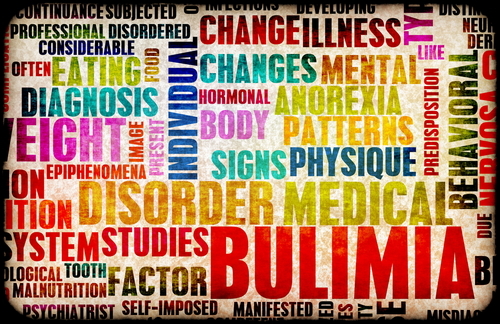 For more information on the the search for a treatment for binge-eating disorder, see Psychiatric News. To read research and discussions of the conceptual and methodological issues involved in diagnosing and classifying eating disorders, see American Psychiatric Publishing's Developing an Evidence-Based Classification of Eating Disorders: Scientific Findings for DSM-5. A new gene-silencing strategy may help individuals with the devastating and ultimately fatal neurodegenerative disorder Huntington's disease, a study reported in the June 21 Neuron suggests. Strands of DNA that are known to destroy the mutant Huntington gene—the cause of Huntington's disease—were infused into the brains of mouse models of Huntington's. The infusion was found to reduce levels of the mutant gene across brain regions of the study mice. The motor performance of the treated animals started improving within one month. Psychiatric and motor benefits lasted nine months. Two mood stabilizers—lithium and valproate—may also hold therapeutic potential for Huntington's disease patients, other research on mouse models of the disorder suggests. For more information about this promising research, see Psychiatric News. 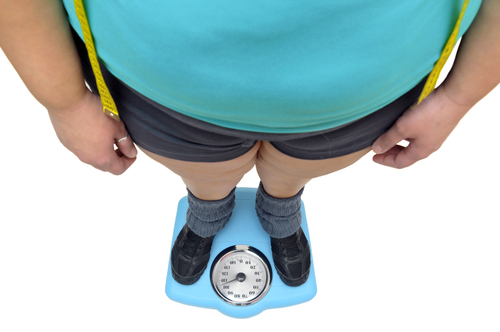 A gene variant that is located near a gene that makes the melanocortin-4 receptor seems to play a prominent role in antipsychotic medication-induced weight gain, researchers have found. 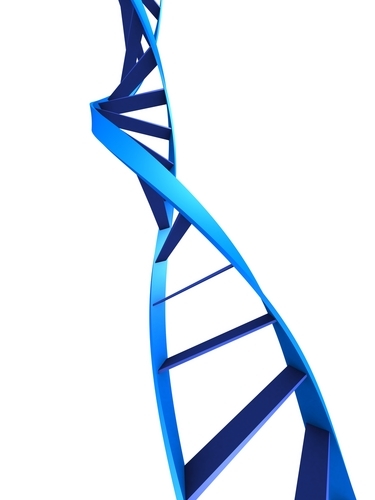 Mutations in this gene have also been linked to extreme obesity in the general population. To learn more about these recent findings, see the latest issue of Psychiatric News. Yet another gene variant that predisposes to obesity has been linked to volume loss in several brain areas. The variant might lead to poor executive function or help set the stage for development of dementia, the researchers suggested. More details about this research can be also be found in Psychiatric News. Sleep deprivation may amplify anxiety, a study reported June 10 at the annual meeting of the Associated Professional Sleep Societies found. Eighteen healthy adults were exposed, first after a normal night's sleep and then after a night of sleep deprivation, to an anxiety-provoking situation. Their brains were imaged. In both instances, the exposure provoked activity in the amygdala—the brain's fear center—but that activity was especially pronounced after sleep deprivation. 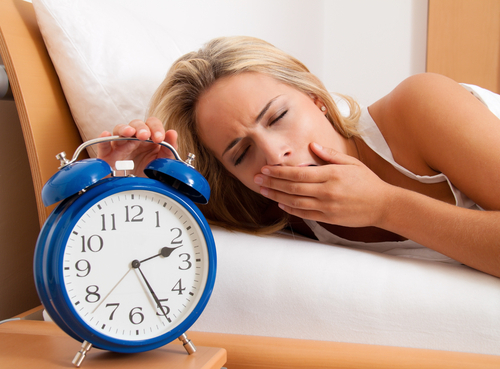 Teens may be particularly susceptible to sleep deprivation. In another study of the issue, this one conducted by researchers at the Centers for Disease Control and Prevention, more than two-thirds of some 12,000 American teens were found to be getting too little sleep on a regular basis, and this lack of sleep was linked to several health-risk behaviors. More details about this study can be found in Psychiatric News. To read much more about the consequences of sleep deprivation and the diagnosis and treatment of sleep problems, see American Psychiatric Publishing's Clinical Manual for Evaluation and Treatment of Sleep Disorders. 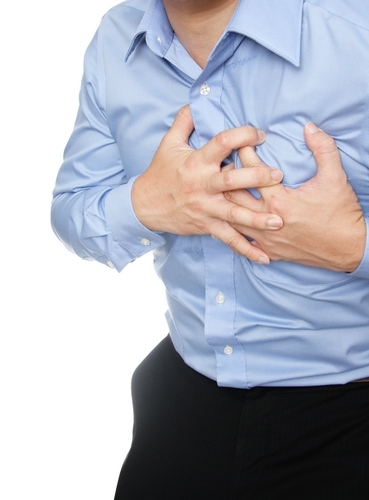 It's a vicious cycle: Acute coronary syndromes (ACS; myocardial infarction or unstable angina) can induce posttraumatic stress disorder (PTSD), and ACS-induced PTSD may increase patients' risk for subsequent cardiac events and mortality. Researchers at Columbia University Medical Center published the results of their meta-analysis of studies that reported a valid estimate of the prevalence of ACS-induced PTSD, seeking to shed light on the "under-diagnosis" of PTSD cases in cardiology practice. "Our analyses indicated that ACS-induced PTSD symptoms are associated with an approximate doubling of risk for recurrent cardiac events or mortality," they said, noting that ACS is a traumatic event for many, and ACS-induced PTSD is relatively common. They said their results identify areas requiring further research, including studies testing treatments for ACS-induced PTSD. A DSM-5 work group is proposing to remove PTSD from the anxiety disorders chapter and include it in a chapter for conditions arising from an adverse event that precedes symptom onset. Read more about the proposed change in Psychiatric News, here. The Drug Enforcement Administration (DEA) has commended House and Senate negotiators for agreeing on legislation to control 26 synthetic drugs under the Controlled Substances Act. These drugs include those commonly found in products marketed as “K2” and “Spice.” The addition of these chemicals to Schedule I of the Controlled Substances Act will be included as part of S. 3187, the Food and Drug Administration Safety and Innovation Act. In addition to scheduling the 26 drugs, the new law would double the length of time a substance may be temporarily placed in schedule I, from 18 to 36 months. In addition to explicitly naming 26 substances, the legislation creates a new definition for “cannabamimetic agents,” creating criteria by which similar chemical compounds are controlled. Read more about synthetic cannabinoid drugs in Psychiatric News, here. Variations in combat experience may be reflected later in suicidal thinking among veterans, according to Shira Maguen, Ph.D., of the San Francisco VA Medical Center, and colleagues. In their online report on Vietnam War veterans in the journal Depression and Anxiety, the researchers found that veterans with more killing experiences in the war were twice as likely to report suicidal ideation than were veterans with little or no such experience. Those with greater killing experiences who were also diagnosed with posttraumatic stress disorder, depression, or substance use disorders had even higher likelihood of experiencing suicidal ideation. 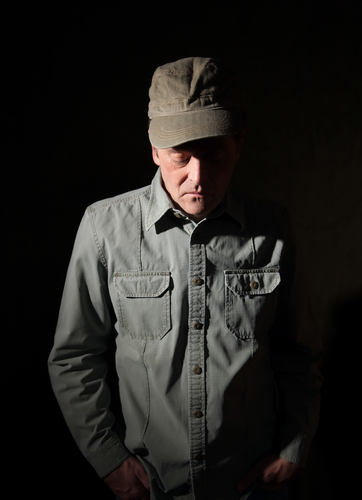 To read much more about suicidality among war veterans, see Psychiatric News here. To learn the latest clinical and research findings on treating posttraumatic stress disorder, see Clinical Manual for Management of PTSD from American Psychiatric Publishing. Physicians are finding a surprising link between an increasingly popular form of surgery and development of alcohol use disorder (AUD) in people who weren't problem drinkers before their operation. As reported online in the Journal of the American Medical Association on Monday, researchers have discovered that patients who have undergone gastric-bypass surgery may have a two-fold increase in their risk for excessive drinking compared with patients who chose stomach banding as a way to lose weight. Most of the patient-reported increases in problem drinking appeared about two years after the surgical procedure. Led by Wendy King, Ph.D., of the University of Pittsburgh, the researchers studied about 2,400 participants who had bariatric surgery at 10 U.S. hospitals. They found that while the prevalence of alcohol use disorder symptoms did not change from one year prior to one year after surgery, the prevalence of the disorder was significantly higher in the second postoperative year. The greatest increase was among males and younger participants and those with lower interpersonal support. The researchers "did not find a significant association between preoperative mental health, depressive symptoms, binge eating, or past-year treatment for psychiatric or emotional problems and prospective AUD." 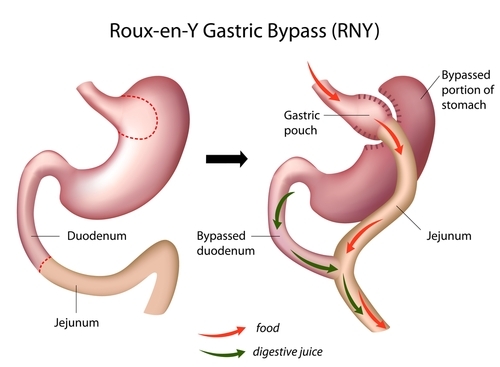 They emphasized that "regardless of alcohol history, patients should be educated about the potential effects of bariatric surgery," particularly its risk for developing AUD. To read more about the relationship between psychiatric disorders and bariatric surgery, see Psychiatric News. “I learned early on when I got involved in the advocacy arena that we are stronger when we are together,” said psychiatrist Patrice Harris, M.D., a new member of the AMA's Board of Trustees. We are stronger when we are together. That’s the AMA’s motto, but Harris—a former member of the APA Board of Trustees—said those are not just words. “We do not defeat psychologist prescribing in Georgia, for example, without working with the Georgia Medical Society and other medical specialty societies,” Harris said, explaining the need for physicians to work together across disciplines. And she urged psychiatrists to join the AMA. Harris spoke with Psychiatric News during the annual meeting of the AMA House of Delegates this week in Chicago. At this year’s meeting the House of Delegates is considering reports and resolutions related to health care reform, Medicare payment, Medicaid reform, support for state psychiatric services, and use of antipsychotic medications in nursing homes. 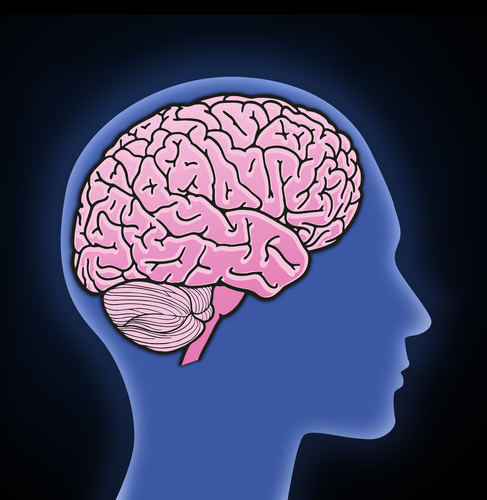 For coverage of these key issues, watch for future issues of Psychiatric News. Harris is one of a number of psychiatrists who have assumed leadership positions at the AMA, including Jeremy Lazarus, M.D., who will be inaugurated as only the second psychiatrist president of the AMA this week. For information see Psychiatric News, here. For a video of Harris’ remarks this week click here. Psychiatrist Vijaya Appareddy, M.D., is the incoming chair of the AMA's International Medical Graduate (IMG) Governing Council. (She is also a member of APA’s Council on Children, Adolescents, and Their Families.) Appareddy is representative of the changing face of the AMA, which has reached out in recent years to residents and medical students, women and minorities, and international medical graduates. And she is representative of the strength of the psychiatric delegation in the AMA, which this week will inaugurate psychiatrist Jeremy Lazarus, M.D., as AMA president. Last year, Appareddy was instrumental in passage of a report by the AMA Council on Medical Service calling on the AMA to support a simplified process for designating individuals with intellectual disabilities as a medically underserved group (see Psychiatric News here). At this year’s meeting, which began Saturday, Appareddy talked to Psychiatric News about the IMG Governing Council and how it serves international medical graduates and the wider physician community and encouraged psychiatrists—whether IMG or not—to join the AMA. Watch the video here. If approved by the House, the resolution would put AMA on record in support of “maintaining essential mental health services at the state level, to include maintaining state inpatient and outpatient mental hospitals, community mental health centers, addiction treatment centers, and other state-supported psychiatric services.” It would also call on AMA to support increased funding for state Mobile Crisis Teams to locate and treat homeless individuals with mental illness. Look to Psychiatric News for further coverage. And for more information on this topic, click here. Child-welfare agencies are failing their charges when it comes to mental health treatment. That's the conclusion of researchers in a study in the June Journal of the American Academy of Child and Adolescent Psychiatry. They examined the prevalence/predictors of mental health problems and services use in children aged 12 to 36 months who had been investigated because of alleged maltreatment. Data came from the second National Survey of Child and Adolescent Well-Being, a longitudinal study of youth under age 18 referred to child-welfare agencies. Sociodemographic, social services, developmental, and health data were collected on the children and caregivers. Outcomes were scores on the Brief Toddler Social and Emotional Assessment Scales for children aged 12 to 18 months and the Child Behavior Checklist for children 19 to 36 months. They found that just 2.2 percent of the children with identified mental health problems received a mental health service. When parenting skills training that might be related to the treatment of child problems was included, 19.2 percent received a service. "The lack of services received by these young, multi-challenged children is a services system and social policy failure." For the latest research and clinical information about mental health problems of children and teens, see the Concise Guide to Child and Adolescent Psychiatry, Fourth Edition, available from American Psychiatric Publishing, here. 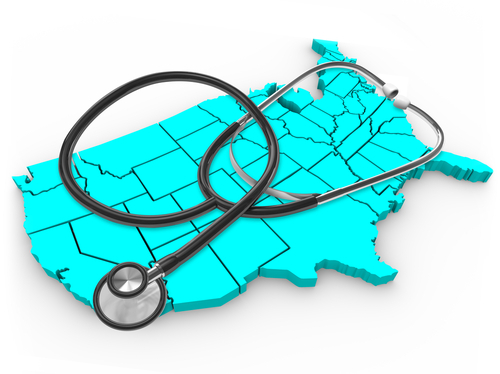 Health care reform is sure to be a prominent topic at this year's meeting, especially as the Supreme Court's ruling on the constitutionality of the Patient Protection and Affordable Care Act is expected any day now and may well be announced while the House is in session. Psychiatry has grown to have enormous influence in the House of Delegates. At last year’s meeting, Lazarus was elected president, and psychiatrist Patrice Harris, M.D., was elected to the AMA Board of Trustees. Additionally, former APA President and Assembly Speaker John McIntyre, M.D., won election to a second term on the AMA's influential Council on Medical Service. And Stuart Gitlow, M.D., Ph.D., won reelection to the Council on Science and Public Health. Look to Psychiatric News for coverage of this year’s meeting. For more information about psychiatry’s influence at the AMA, see Psychiatric News here. Are young women who have migraine more likely to develop an eating disorder (ED)? Researchers from the Biochemistry Laboratory for the Study of Primary Headaches and Neurological Degenerative Diseases, Research, and Innovation in Padova, Italy, have presented strong evidence that they are in the May Neurological Science. To understand the possible relationship between migraine and eating disorders, they investigated the prevalence of migraine and other primary headaches in a large group of anorexia nervosa and bulimia nervosa patients. They also investigated the role of tyrosine metabolism in the same group, measuring their plasma levels of the elusive amines tyramine and octopamine, and the catecholamines noradrenalin and dopamine. "The very high prevalence of migraine in our group of ED sufferers and the biochemical profile of migraine, similar to that of ED patients shown in this study, suggest that migraine may constitute a risk factor for the occurrence of ED in young females," said the researchers. "This hypothesis is supported by the onset of migraine attacks that initiated, in the majority of the patients, before the occurrence of ED symptoms." More information about the complicating conditions and comorbid states that often accompany eating disorders appears in the book Special Problems in Managing Eating Disorders, by American Psychiatric Publishing. A mechanical failure of one of the freezers of the Harvard Brain Tissue Resource Center (HBTRC) has led to the loss of tissue from 53 brain samples belonging to the Autism Tissue Program, a clinical program of Autism Speaks. According to the Boston Globe, the affected freezer, one of 24 in the HBTRC, was protected by two separate alarm systems, and staff checked an external thermostat twice a day to ensure that the tissue samples were maintained at negative 80 degrees Celsius. But on May 31, staff discovered the temperature inside the freezer had risen to 7 degrees, without triggering the freezer's alarm system. Of the 53 compromised samples, 52 had already been bisected, with one hemisphere being placed in formalin. These fixed hemispheres remain available for research or have been assigned to specific research efforts such as the Brain Atlas project. "Fortunately, the affected tissue has already been used in many studies," said Autism Speaks Chief Science Officer Geri Dawson, Ph.D. "Although this event will affect the availability of tissue for future research, we cannot yet determine the level of impact, but we are confident that we can maintain the momentum of scientific studies based on brain tissue." HBTRC and Autism Speaks are conducting independent assessments to determine how the alarm failure occurred. Autism Speaks recently formed a collaboration with the National Database for Autism Research, forming possibly the largest repository of genetic, phenotypic, clinical, and medical imaging data related to research on autism spectrum disorders. Read more about it in Psychiatric News, here. A new study of 665 young people in the third, sixth, and ninth grades finds patterns of nonsuicidal self-injury that vary by age and gender. Nonsuicidal self-injury (NSSI) is the term for intentional, non-fatal, self-inflicted damage caused by cutting, hitting, burning, or excessive rubbing. Reported rates range between 7 percent and 24 percent of adolescents; however, little was known about rates among younger children. Now the new study finds that even third graders engage in NSSI, with boys and girls doing so at about the same rate (7 percent to 8 percent). 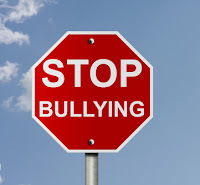 By sixth grade, boys (6 percent) are far more likely than girls (2 percent) to harm themselves. However, by ninth grade, those proportions are sharply reversed, with 19 percent of girls and just 5 percent of boys engaging in NSSI, wrote Andrea Barrocas, M.A., of the University of Denver, and colleagues in the July Pediatrics. 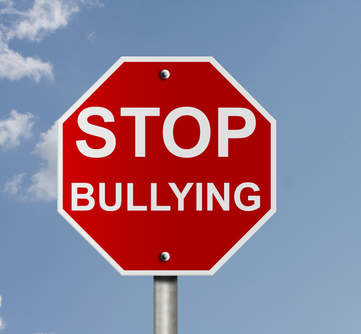 The researchers urged both pediatricians and hospital emergency room personnel to fully evaluate cases of NSSI to help prevent negative physical and mental health outcomes. To read a comprehensive review of how psychotherapy can successfully treat psychiatric disorders in children and adolescents, see the new book from American Psychiatric Publishing, Cognitive-BehaviorTherapy for Children and Adolescents. While parents and school personnel educate and warn teenagers about the perils of alcohol and illicit-drug use, another troubling trend is rapidly taking hold in America's high schools, particularly the most academically competitve ones. In an extensive report published earlier this week, the New York Times chronicled what appears to be an epidemic of use of stimulant medications as study aids. 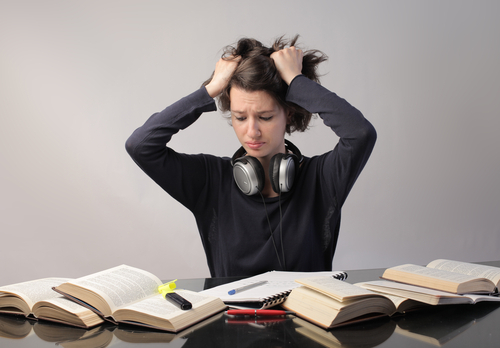 While medications such as Adderall, Vyvanse, and Focalin help youngsters with ADHD to calm down and focus, these prescription stimulants are routinely used by students without the disorder to study long hours, enhance their test performance, and ultimately obtain the grades that will get them into prestige colleges. Interviews with about 40 high school students, some of whom were quoted in the article using just first names, revealed students have no trouble buying illicit supplies of the medications, often lying to parents, family physicians, and psychiatrists to obtain them. One student in suburban Philadelphia told the Times "I often lie to my psychiatrist—I expressed feelings I didn't really have, knowing the consequences of it. I tell the doctor, 'I find myself very distracted, and I feel this really deep pain inside, like I'm anxious all the time." He told the reporter, "Generally, if you keep playing the angsty-teen role, you'll get something good." While some of the interviewed students said as many as one-third of their classmates use stimulants to study, little study has been done of the extent of the problem. The federal government's Monitoring the Future survey failed to find an increase in use of these drugs since the 1990s. Read more about use of stimulant drugs in Psychiatric News here and here. UnitedHealthcare, one of the nation’s largest private insurers, will continue to offer important health care insurance protections that were included in the 2010 health care reform law, no matter how the U.S. Supreme Court rules in cases currently pending before it. The company announced that it will continue provisions related to coverage of preventive health care services without copay requirements, coverage of dependents up to age 26, lifetime dollar limits, coverage rescissions, and appeals. "The protections we are voluntarily extending are good for people's health, promote broader access to quality care, and contribute to helping control rising health care costs. These provisions make sense for the people we serve, and it is important to ensure they know these provisions will continue," said Stephen Hemsley, president and CEO of UnitedHealth Group. 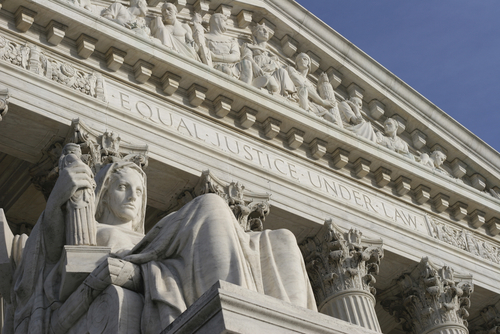 The Supreme Court ruling on several matters pertaining to the health reform law, including the constitutionality of the so-called “individual mandate” to buy health insurance, is expected this month. For information on this issue see Psychiatric News, here. Researchers at England's University of Bristol said this week that they found no evidence that offering patients physical exercise supports improved depression outcomes in adults, nor did it reduce the use of antidepressants. They studied 361 adults aged 18 to 69 who had recently consulted their general practitioner about symptoms of depression. In addition to usual care, intervention participants were offered up to three face-to-face sessions and 10 telephone calls with a trained physical-activity facilitator over eight months. 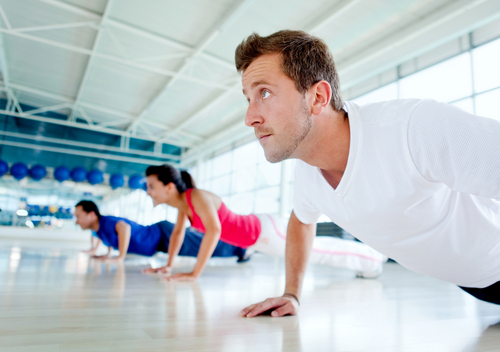 At four, eight, and 12 months follow-up, there was no evidence that those offered exercise support were any less depressed, although the group did report increased physical activity compared with the control group. The researchers said the main implication of their results is that advice and encouragement to increase physical activity is not an effective strategy for reducing symptoms of depression. "Although our intervention increased physical activity, the increase may not have been sufficiently large to influence depression outcomes." Physical exercise has, however, been found to reduce amyloid plaques in the brain, which are a hallmark of Alzheimer's disease. Read more about it in Psychiatric News, here. Data from national surveys reveal a disturbing trend for 50- to 59-year-olds: the number of those reporting past-month abuse of illicit drugs—including nonmedical use of prescription drugs—more than doubled from 2002 to 2010, going from 907,000 to 2,375,000, or from 2.7 to 5.8 percent of this population. 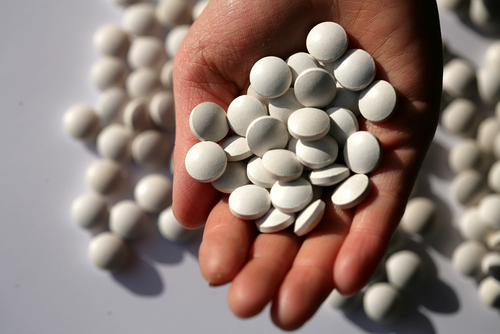 Among those 65 and older, 414,000 used illicit drugs in 2010. A new report, Prescription and Illicit Drug Abuse, available on NIHSeniorHealth.gov, describes this trend and the effects of medication and drug abuse on older adults. 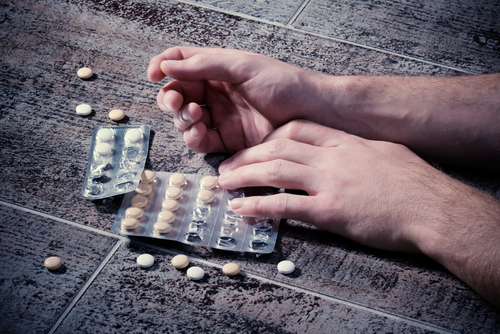 According to the National Institute on Drug Abuse (NIDA), the numbers of older substance abusers may continue to rise, due to aging of the baby boomers, who were more likely than previous generations to have used illicit drugs in their youth. 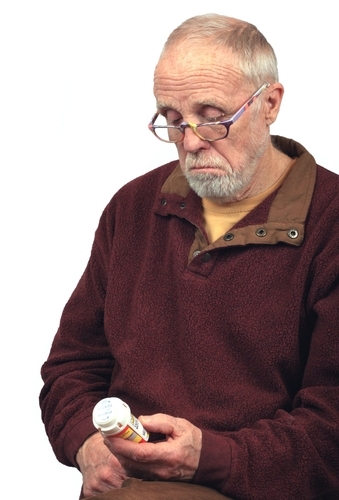 Although substance abuse by older adults is preventable and treatable, many may not get the help they need because some common warning signs of abuse, such as sleep problems, falls, and depression, can also be signs of other health conditions. The new topic on "NIHSeniorHealth" provides tips on behaviors to watch for and appropriate steps to take if a substance abuse problem is suspected. "This topic is an excellent, easy-to-understand overview of a growing problem," said NIDA Director Nora Volkow, M.D. "It's a must-read for anyone concerned about substance abuse in themselves, an older relative or friend." To read more details about the epidemic of prescription painkiller use, see Psychiatric News, here. 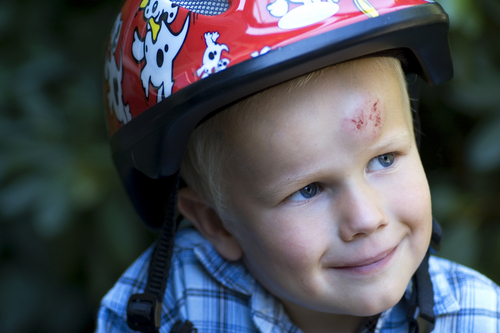 A CT scan may not be the best way to evaluate traumatic brain injury (TBI) in a child, especially if he or she had a previous scan. New research indicates that CT scans pose potential cancer risks from associated ionizing radiation, particularly to children, who are more radiosensitive than adults. The 20-year retrospective study, funded by the U.S. National Cancer Institute and the U.K. Department of Health, was published online in the Lancet today. Researchers said the use of CT scans in children to deliver cumulative doses of about 50 mGy might almost triple the risk of leukemia, and doses of about 60 mGy might triple the risk of brain cancer. Because these cancers are relatively rare, the cumulative absolute risks are small: In the 10 years after the first scan for patients younger than age 10, one excess case of leukemia and one excess case of brain tumor per 10,000 head CT scans is estimated to occur. Clinical benefits should outweigh the small absolute risks, but radiation doses from CT scans ought to be kept as low as possible, and alternative procedures that do not involve ionizing radiation should be considered. Edition, available from American Psychiatric Publishing, here. 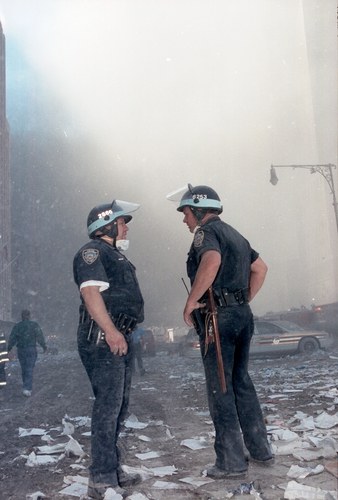 A policeman’s lot may not be a happy one after a disaster, but proper screening and good training kept rates of PTSD among New York officers down to 5.4 percent in the months after the terrorist attacks of September 11, 2001. “However, the rate of subsyndromal PTSD was nearly three times greater (15.4 percent), suggesting that 1 in 5 police exposed to [World Trade Center] rescue and recovery work may have clinically significant WTC-related PTSD symptoms,” said lead investigator Robert Pietrzak, Ph.D., M.P.H., of the National Center for Posttraumatic Stress Disorder and the Department of Psychiatry at Yale University, and colleagues. They reported their findings in the July Journal of Psychiatric Research. Subsyndromal PTSD is not usually evaluated during screenings, but in this study was associated with higher rates of other psychiatric problems (such as depression, panic disorder, or alcohol misuse) and with a police officer’s desire for mental health services. Pietrzak suggested that current screening protocols are incomplete. "These findings underscore the importance of screening, monitoring, and possibly treating disaster responders with subsyndromal PTSD,” he concluded. For coverage of research on the psychiatric outcomes of the 2001 attacks, see Psychiatric News here. To read the latest research and clinical information on posttraumatic stress disorder, see American Psychiatric Publishing's Clinical Manual for Management of PTSD. 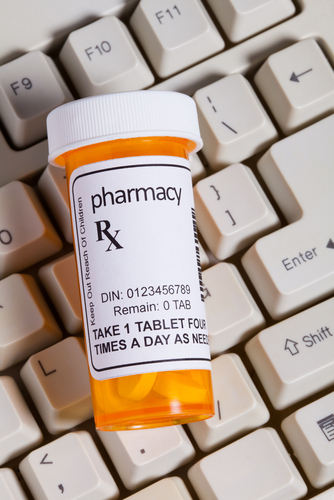 New York will soon require physicians to refer to an electronic database to see if other physicians have prescribed the same controlled substance to a patient. The goal is to reduce the increasing numbers of fatal overdoses of prescription drugs, which now exceed deaths from heroin and cocaine, said New York Gov. Andrew Cuomo, in a statement. Such state-based prescription-monitoring programs have existed—using paper or fax documentation—since 1993 and operate in 42 states, with another six in development. Such programs should cover medications listed on the Drug Enforcement Administration’s schedules 2, 3, 4, and 5, wrote Jeanmarie Perrone, M.D., of the University of Pennsylvania, and Lewis Nelson, M.D., of New York University, in an article published online in the New England Journal of Medicine May 30. The ideal monitoring program, they said, should include ease of access, standardized content, real-time updates, mandatory pharmacy reporting, interstate accessibility, confidentiality and security guarantees, and strictly monitored access for nonprescribers. To read more about the complexities involved in prescribing pain medications, see Psychiatric News here. The Minnesota Department of Human Services has hired the Mayo Clinic to provide a new consult service to primary care physicians to help reduce questionable prescriptions of psychiatric drugs to children, according to a report today in the Minneapolis Star-Tribune. Physicians will be required to call the consult service prior to prescribing antipsychotic and certain other psychiatric drugs to children on Medicaid's publicly funded fee-for-service program, according to the paper. Mayo is collaborating with regional medical providers such as Sanford Health, Essentia Health and PrairieCare to create a network of psychiatrists capable of providing advice. Roughly $1.7 million in state and federal funding will cover the two-year program, which will start in August. State officials believe the cost will be offset by reduced hospitalizations of children whose psychotropic prescriptions either don't help or make them worse. Doctors who prescribe against the advice of consulting psychiatrists won't get paid by the state for doing so. For more information on the topic of antipsychotic use in children see Psychiatric News here. Researchers blinded as to patients’ race found that African-American subjects were more than twice as likely (odds ratio 2.7) to be diagnosed with schizophrenia spectrum than white subjects. The effect held even after controlling for the presence or absence of serious affective disorder. “These observations suggest that in African-American subjects, psychotic symptoms may be overvalued by clinicians, skewing diagnoses toward schizophrenia-spectrum conditions, even with similar levels of affective symptoms as white subjects,” said Michael Gara, Ph.D., of the Robert Wood Johnson Medical School at the University of Medicine and Dentistry of New Jersey in Piscataway, and colleagues from six medical centers. Their report appears in the June Archives of General Psychiatry. Ambiguous factors—like the language used to express distress, intense ruminations, and personal experiences—may be misread as symptoms of psychosis among black people by some clinicians. “[T]hese results remind clinicians to consistently challenge their own diagnostic assessments, particularly in patients from other ethnic groups or in those who are failing to respond to treatment,” concluded Gara, et al. 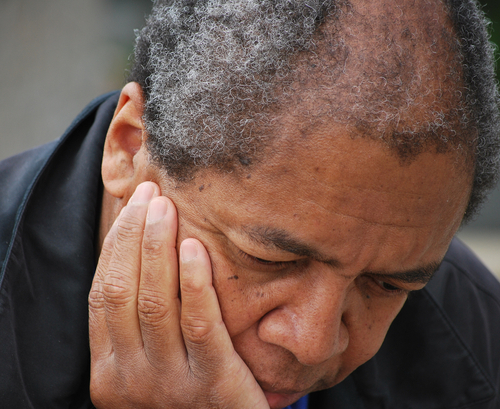 For more in Psychiatric News about mental health among African Americans, click here.